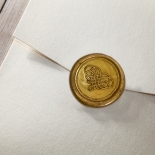 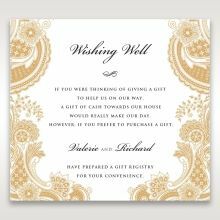 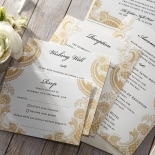 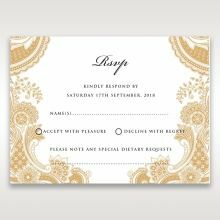 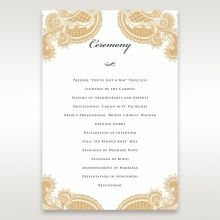 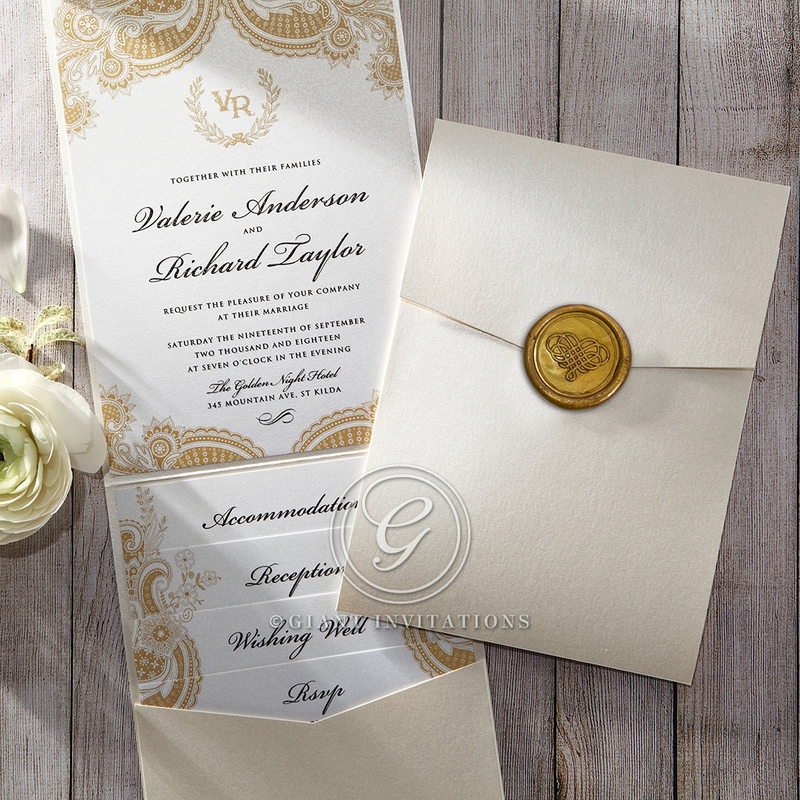 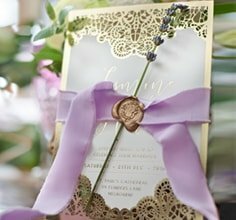 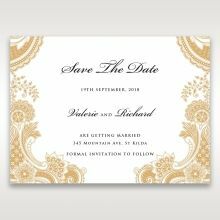 For a regal look, consider this Golden Seal Pocket Invitation. 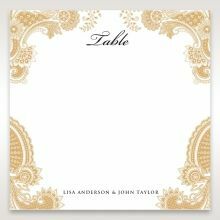 This is a beautiful accompaniment to your wedding style, adding a touch of glamour without overstating. 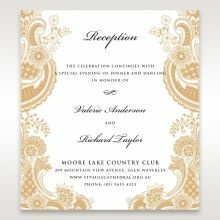 The pocket is lined with gold pearl, while the invitation cover is pearl cream. 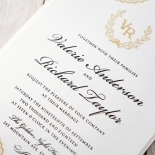 The wedding details are printed directly on the insert of the card in raised ink. 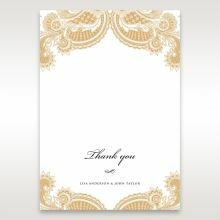 While the outer cover is available in Pearl Cream only, you may customise the inside with your choice of pearl colours. 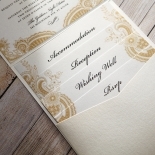 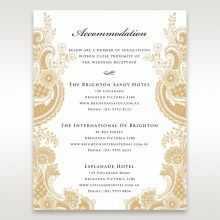 The elegant stationery suite also features the detailed brocade found on the invitation. 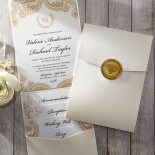 The invitation is folded from the bottom and the top and sealed with the elegant golden seal. 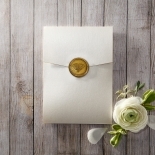 Love the simplicity and elegance of this ivory wedding card invite. 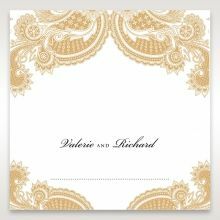 The gold detailing and the way the extra cards sit inside the pocket, makes everything neat and tidy. 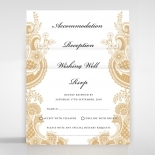 Also the fact that it is customisable, makes things easier as you can pick and choose what suits you and your theme. 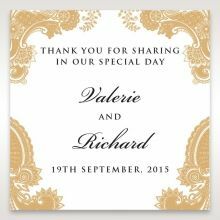 You can also order samples which shows how it’ll be before you order your invitation. 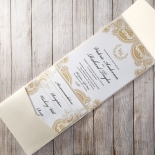 Would defenitely recommend giant invitations for your special occasion invites.